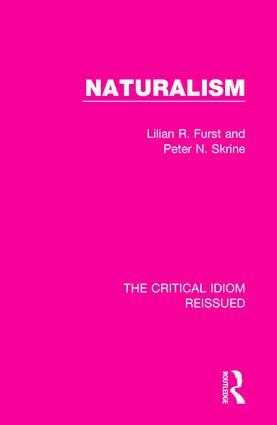 First published in 1971, this book examines the literary style of Naturalism. After introducing the reader to the term itself, including its history and its relationship to Realism, it goes on to trace the origins of the Naturalist movement as well as particular groups which adhered to Naturalism and the theories they espoused. It also provides a summary of the key Naturalist literary works and concludes which a brief reflection on the movement as a whole. This book will be of interest to those studying nineteenth and early twentieth-century literature.